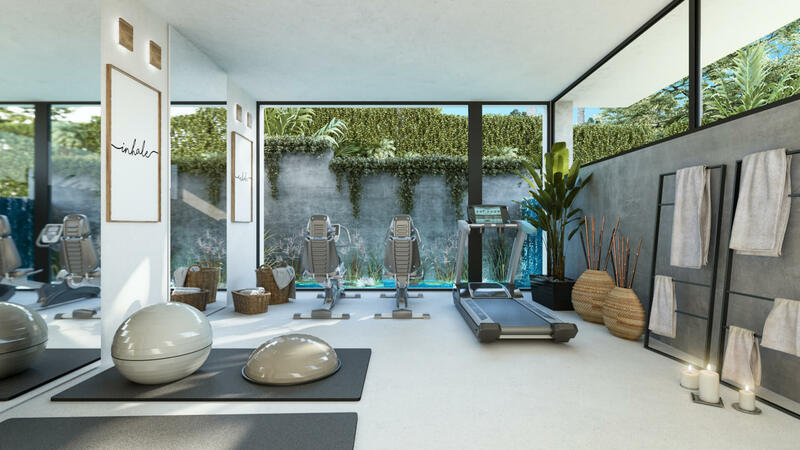 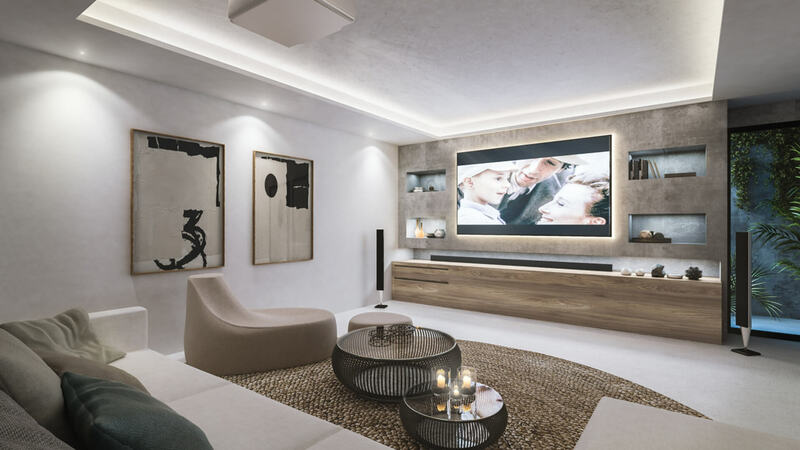 The properties are distributed over three levels with a large basement that could house a cinema room, a gym or spa and sauna. 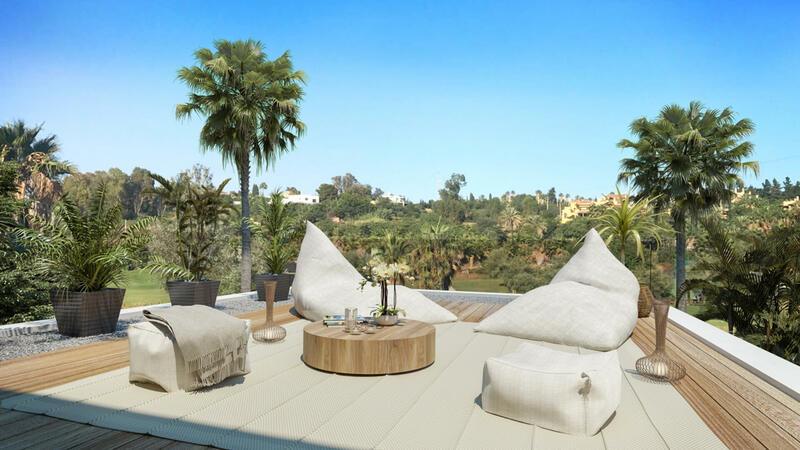 This area opens directly onto your Japanese-style patio and pool with waterfall. 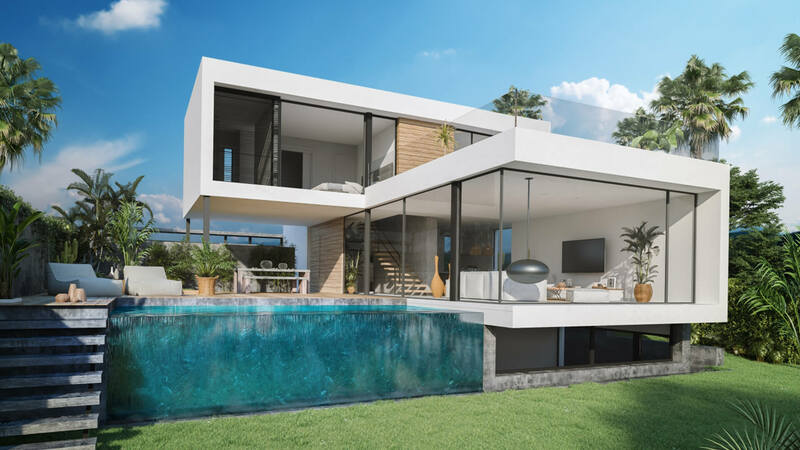 The villas have 4 bedrooms and 4 bathrooms. 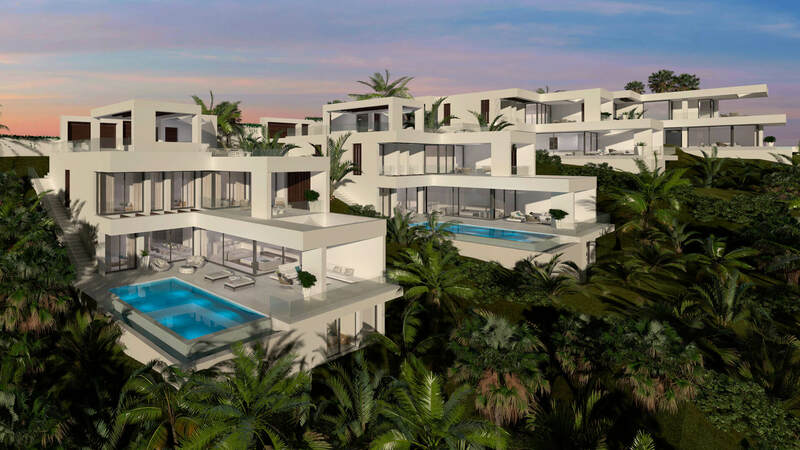 All the properties are located in a privileged location right by a golf course with spectacular views. 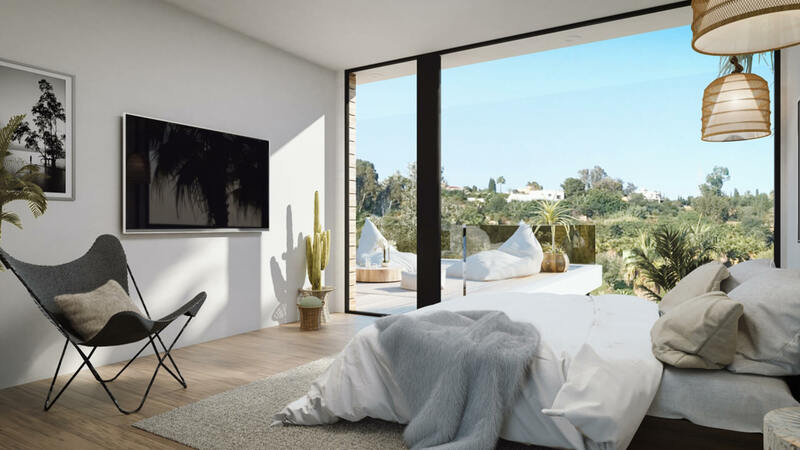 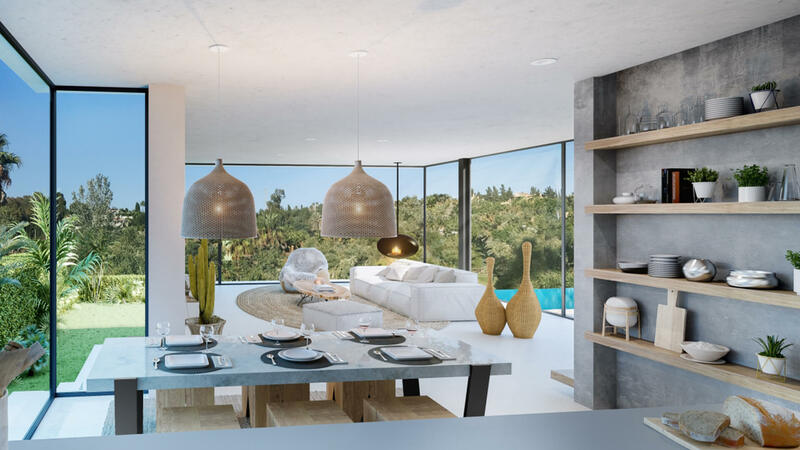 Characterized by open spaces and large floor-to-ceiling windows that floor the villas with natural light, the villas create a seamless separation from inside to outside. 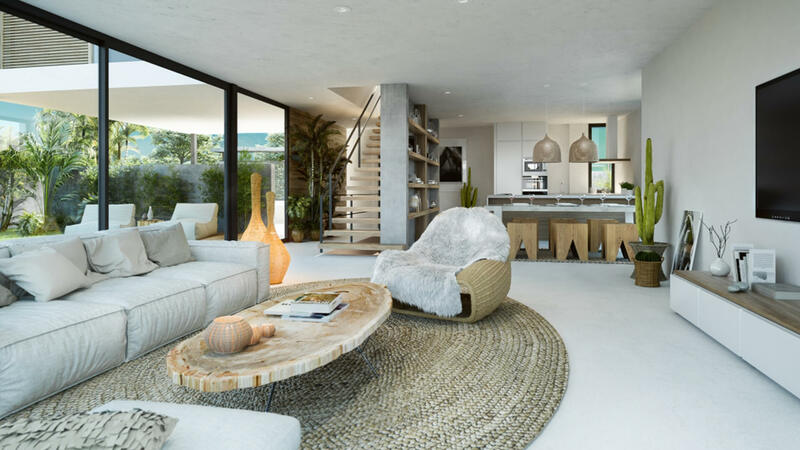 The lounge is the main element of the ground floor opening fully to the kitchen and offering direct access to the terrace with a covered porch. 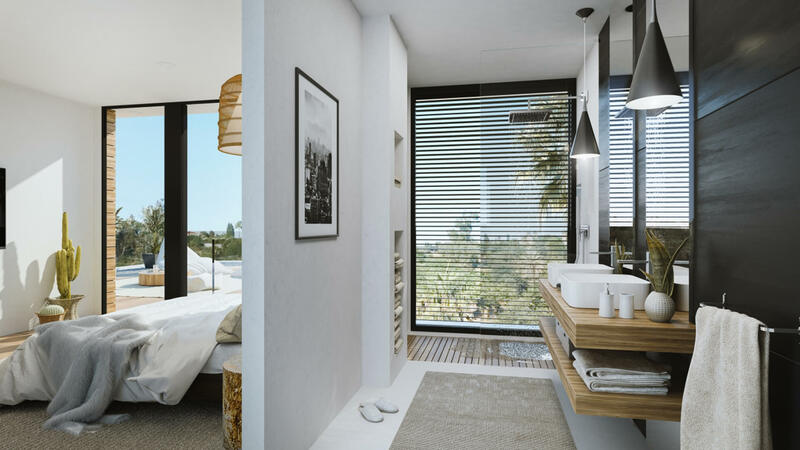 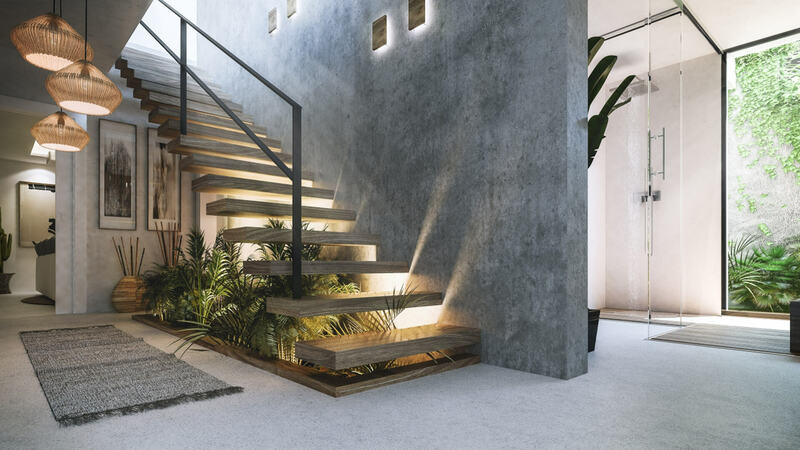 The gardens are designed focusing on green areas and nature using these elements to create feelings of well-being that make you feel at peace in your new home. 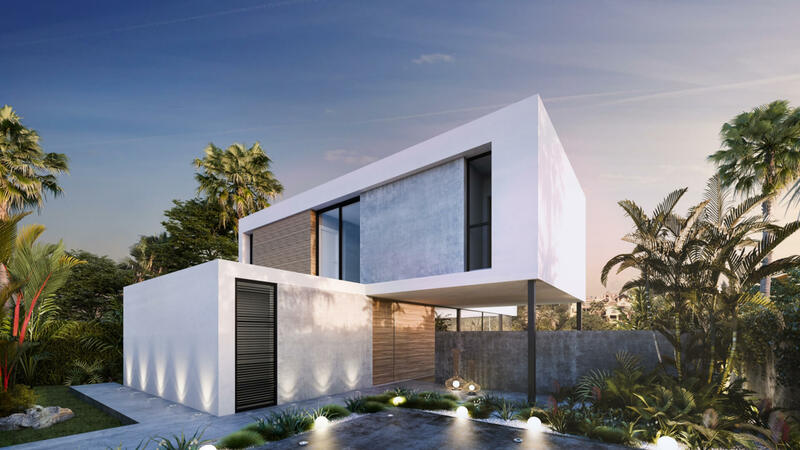 The properties sit on large plots of up to 500m². 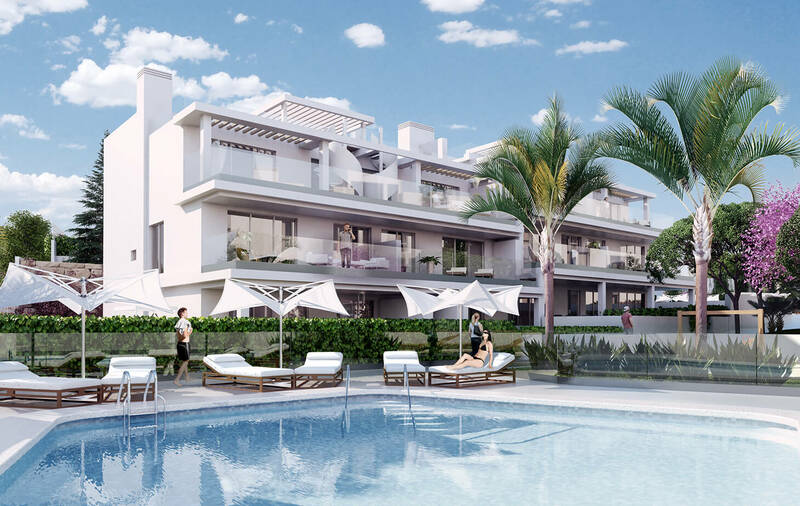 The development is only a few metres from the clubhouse of El Campanario Golf with its exquisite restaurant, tennis and paddle courts, spa, gym, swimming pool and the golf course. 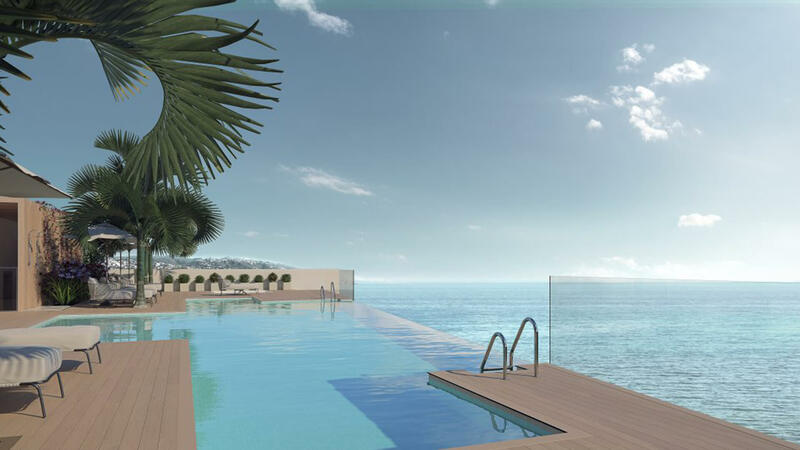 Only a few minutes by car from Puerto Banus and Estepona in an area with all the local amenities including schools, shops, restaurants and bars.